This guide covers the required filings to maintain a nonprofit corporation in Hawaii. If you are looking to form nonprofit in Hawaii, please visit our Start Your Hawaii Nonprofit guide. The steps below apply to nonprofits that are both incorporated and foreign qualified in Hawaii. Please note that this is a general list and may not be exhaustive or applicable to all nonprofits. See Form 990 Thresholds to determine which form to file. Then see Current Form 990 Series for instructions. The 15 day of the 5 month following the end of the taxable year. For most organizations, the tax year ends December 31 so the Form 990 is due May 15. The 20 day of the fourth month following the close of the taxable year. For calendar year filers, the due date is April 20 of the following year. An annual report is not required to be filed in the year the corporation was incorporated. Expedited processing is available for an additional $25 fee. Annual reports must be filed during the quarter that contains the registration anniversary date. For example, if you registered on February 14, then you must file your annual report between January 1 and March 31. The due dates are March 31, June 30, September 30, and December 31. Hawaii Revised Statutes § 467B-A et seq. Two authorized directors of officers must sign online by obtaining their own login IDs. Some Hawaii counties and municipalities may require charities that solicit in-person to register prior to fundraising. Online. Upload your IRS Form 990 electronically or as a pdf and pay the filing fee. Email ATG.Charities@hawaii.gov to update fiscal year. You will then need to file the short year in the efile990.org system. Maintain a registered agent that has a street address in Hawaii. The registered agent is responsible for receiving legal documents such as service of process. Appointing a registered agent service is often preferable to listing an officer or director, as their information often changes. Consider using our registered agent service in Honolulu , HI to maintain compliance with the state requirement. 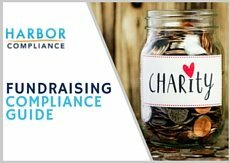 Harbor Compliance® proudly partners with the Hawai'i Alliance of Nonprofit Organizations to provide insightful resources and compliance solutions to nonprofits in Hawaii. This page was last fact-checked August 31, 2015.